ISA District 12: DLC 11 - A very positive meeting. DLC 11 - A very positive meeting. Some people sometimes question the role and the vitality of our ISA organization. The last ISA D12 leadership conference clearly demonstrated the opposite. 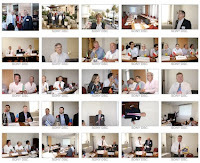 The conference was held in Brussels, on 17 September, and chaired by Jean-Pierre Hauet, District 12 Vice President. The meeting brought together representatives of 10 sections: Abu Dhabi, Belgium, France, Ireland, Italy, Morocco, Portugal, Russia, The Netherlands and Spain with the presence of Leo Staples, ISA corporate President, of Tim Feldman, ISA Director, Products and Services and of Pieter van der Klooster, Managing Director of the ISA European Office. 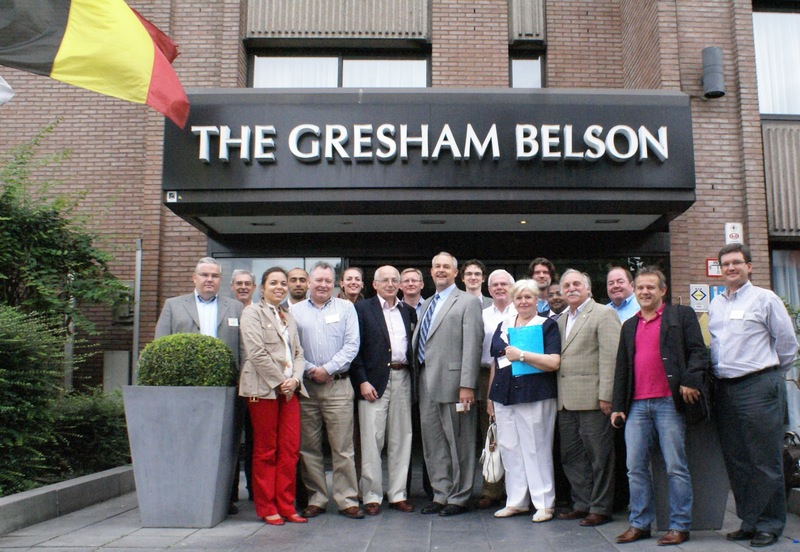 New section leaders, François Javier Calmuntia and Raquel Mateos from Spain, Jose Alexandre Pereira from Portugal, Abdelmounaim Laayouni from Morocco, Mohamed Ibrahim from Abu Dhabi, John Downey from Ireland, Marc Blekkink from Belgium, were welcomed by Jean-Pierre Hauet. In a friendly but working atmosphere, the conference addressed a fundamental issue “ISA Sections: which business model”. Each section had the opportunity to explain to the assembly how they were developing their activities and which support they were expecting from the ISA central organization. Conversely, a report was given by Billy Walsh on the preliminary conclusions of the ISA Restructure Task Force created at the corporate level. The sections were invited to locally further discuss these conclusions in order to prepare for the vote which will occur during the next Council of Society Delegates meeting scheduled in Mobile (Alabama) on 17 October 2011. After having referred to the role ISA has played in his career, Leo Staples shared with the participants his vision of the future of ISA as a modern non-profit society, members driven and market orientated. In a brief ceremony, Marc Blekkink was officially presented by Jean-Pierre Hauet with the charter of the ISA Belgium section. In the coming weeks, Portugal is expected to also become a new active section. Kevin Dignam, past Vice-President and D12 nominator, announced that he would initiate in the coming weeks the election process of the D12 DVP Elect. Alex Bobovich's and Eoin Ó Riain’s terms were extended one year, per decision of the D12 DVP respectively as District Student Liaison Representative and as District Publications Committee Chairman. Gianfranca Sanzeni was appointed District Membership Committee Chairwoman. Sections were invited to propose candidates for covering the responsibilities of District Standard and Practices Committee Chairman and of District Automation and technology department and Industry & Sciences Department liaison Committee chairman. Thanks to the Irish section, namely Eoin Ó Riain, John Downey and Declan Lordan, the entire meeting was webcasted and attended by many remote participants in Europe as well as in the USA. I would like to extend my thanks to our President Leo Staples and to Tim Feldman, who accepted to share with us their vision of the future of ISA. 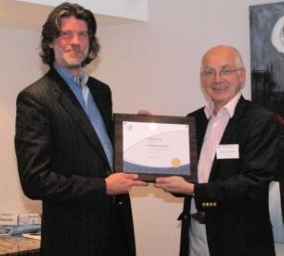 Thanks also to Pieter van der Klooster for having joined us. Congratulations on the Irish team which organized the Webcasting of the meeting in a very short lapse of time. Thanks to Marc who helped in the organization and good luck to our new B-Section (B for Belgium or for Baby). I attach the picture of all the group taken by Hieu, who accordingly is missing on the photo! I remind you of the next step : the Mobile council of Society delegates meeting. Please confirm to me your presence as soon as possible so that we can ensure a strong presence of the District, organise the discussion within your section regarding the Governance restructure task force and forge your position on the motion before the meeting. A last thank to Kevin, our past DVP, our current nominator and my mentor who was instrumental, with Billy, in transmitting their knowledge and their experience.